A MUST in your travel. 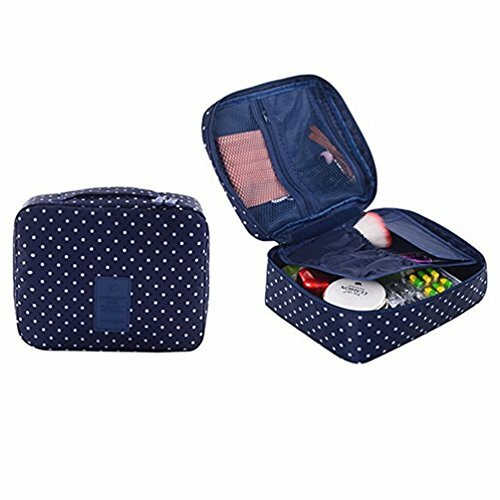 This multi-functional toiletry bag applies to home,travel, organize your cosmetics cosmetic, towel, toothbrush and other small items in a good order and easily accessible. Pocket1: Mesh zippered pockets for storing small and flat cosmetics, toothpaste or toothbrush. Pocket2&3: Removable pockets can store the long cosmetic tools sets, eyebrow pencil and other easy to drop out items. Multiple compartments for different requests of storage. Mesh zippered pocket for storing small and flat cosmetics. REMOVBALE POCKET inside for string long make up tools sets, eyebrow pencil and other easy to drop out items. High Quality Water-resistant fabric will protect your personal items from the penetration of moisture or bacteria.The high quality smooth zipper bring the best user experiences. Risk Free We offer 30 Days Money Back Guarantee. If you have any questions about this product by CalorMixs, contact us by completing and submitting the form below. If you are looking for a specif part number, please include it with your message.